The Oberth class was a small Federation starship used primarily by Starfleet and civilian scientists alike, as a scout class and science vessel, from the late-23rd to the late-24th century. Located on Deck 1 of the saucer section, the bridge housed the ship's command center. Located in the front was the viewscreen, with side-by-side navigator and helm consoles, which were positioned opposite to the arrangement found aboard Constitution-class starships. The captain's chair was directly aft of the aforementioned stations. Forward port section of the Grissom bridge. Communications station, located on the starboard section of the Grissom bridge. With a blown emergency hatch. The bridge of the Grissom was a redress of the bridge of the USS Enterprise, altered only slightly to reflect the smaller size of the class. Among the more notable changes were the reupholstered chairs and the placement of the center console. The bridge of the Tsiolkovsky was described in the script simply as a "small bridge". The set was only a partial construction, containing a few chairs and consoles, dominated by the view of the open emergency hatch. Because of its small size, many of the corridors doubled as auxiliary access points to various parts of the ship. The Oberth-class was equipped with numerous science labs dedicated to scientific study. 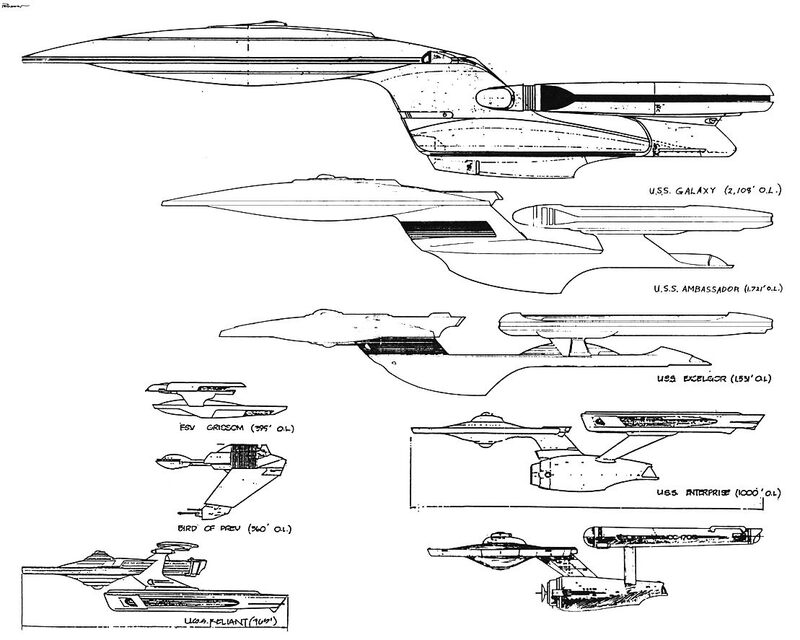 The model of the USS Cochrane was used for the USS Biko in TNG: "A Fistful of Datas"
According to the Star Trek Encyclopedia (4th ed., vol. 2, p. 97), the Oberth-class was "named for 20th century German rocket pioneer Hermann Oberth."